We are each filled with universal life force energy. It is the essence of our being, our consciousness, our soul. As the flow of life force energy moves through the physical, emotional, and spiritual bodies, it can become imbalanced, stagnant, or blocked. We experience what is called dis-ease. Disease, as the term suggests, is lack of ease. It is the inability of one’s life force energy to flow freely. Disease is the reaction to imbalanced life force energy in the physical, emotional, or spiritual body. This imbalanced energy can manifest as physical problems, as well as life patterns and cycles that keep us from growing. Disease can manifest in the physical body in the form of headaches, back pain, arthritis, or cancer. It can manifest in the emotional body in the form of anger, rage, phobias, depression, and hate. It can also manifest in the spiritual body, appearing as narrow-mindedness, disrespect for life and nature, or materialism. Let’s look at the concept of disease from another perspective. Visualize your life force energy as a fast moving stream. It will flow in the path of least resistance. If you place a large stone in the center of the stream, the water must yield and deviate to go around the stone blocking its path. The flow of the stream has deviated from its natural path and become imbalanced. If, the very first time you felt invalidated, a large stone is placed in the stream, the effect to the flow of energy may not be very great. However, if you are invalidated again, the blockage can get bigger as another stone is added to the stream. Your life force energy must yield and deviate even more to get around the even larger blockage. These blockages can grow instance by instance, cycle by cycle, stone after stone, lifetime after lifetime, until the body starts to manifest these issues as disease. Fear is the largest cause for our life force energy to become imbalanced, stagnant, or blocked. When we are afraid to let go of energies such as abuse, physical, mental, or emotional trauma, invalidation, or the denial of self, our life force energy becomes imbalanced. If left for a long time, it can become stagnant or completely blocked. For some, these imbalances have been present since early childhood or a past life. Changing these imbalances would mean changing the very basis of the world around them, their perceived self. For others there is a level of denial in which they know there is something wrong but choose not to look at their issues. Many times these individuals are unable to address or deal with the problems they encounter. There are others who can see the imbalances in their physical, emotional, and spiritual bodies, yet they are unsure how address them. They may be having difficulty in, releasing the stagnant energy, which will allow them to bring in the life changes desired. Each of us has the ability to heal ourselves of disease. The easiest to say, but the most difficult to do, is just to let go. Allow the body, mind, and spirit to release all of the energy that it is holding on to. It can then return to its natural place of balance and harmony. This, however, is not easy for us to do. There are many subtle energy techniques we can use to release energy that is not in harmony with our highest good. Amusement is the easiest way to get stagnant energy flowing again. Look at what is going on around you and find some amusement in it. Enjoy the release you will experience with a good laugh. If that doesn’t work, techniques including meditation, any kind of physical exertion, creative expression such as art, and tasks as simple as washing dishes or raking leaves are excellent tools one can employ to release energy. In addition, there are many energy medicine techniques, which we can use to assisted in our journey to releasing stagnant life force energy. These include Reiki, aura/chakra clearing, and working with a medical intuitive. Each of these health practices affect the physical emotional, and spiritual bodies, however, one technique may work better for you than another. 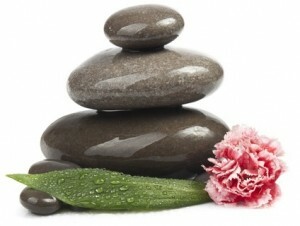 Another way of removing blocks is using Reiki. Reiki is a form of hands-on-healing. “Reiki,” means “universal life force energy.” During a Reiki treatment, healing energy brought in from the universe is run thought the healer’s hands and is transmitted to the person to be healed. The healer, starting at the top of the head, moves their hands in a number of positions over the receiver’s head. Each position is maintained for three to five minutes, or until the healer feels the area which he/she is working is cleared. The healer then continues working on the rest of the body in the same manner, clearing stagnant energy. Reiki is an excellent tool to use, especially when dealing with physical problems, in that it heals down to the cellular level. An aura/chakra clearing in another way of getting one’s life force energy flowing. An aura/chakra clearing is a form of clairvoyant healing. 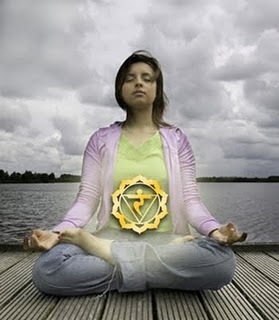 The chakras, or energy centers within the body, are a common place where one’s life force energy can become imbalanced. There are seven major chakras within the body, as well as seven layers to the aura. Each vibrates at a different frequency and color, and process different types of information such as survival, sexuality, willpower, love, communication, visualizations, and knowingness. The aura is the electromagnetic field around the body. It is the “personal space” or “personal bubble” that each of us have around our bodies. During a healing session, the health practitioner will look directly at the subtle body, including the aura and chakras. He/she will utilize visualizations such as feather dusters, squeegees, or brooms to clear out blockages found in the different layers of the aura. The healer may also sew rips and tears in the aura and get the life force energy of the aura flowing again. In addition, deformed chakras should be reshaped and cracks filled. Chakras that are not moving should be set into motion. During a Medical Intuition Evaluation, the healer may look at things such as muscular and skeletal health, the organs and glands, and the level of toxins in the body, as well as other specific health issues. The medical intuitive can also look at emotional issues, life patterns, and physical injuries sustained in past lives. A medical intuitive can also address many things during a healing session. These include (but are not limited to) clearing energy from the physical body, the aura and chakras, organs, and glands. As with all healing techniques, including massage Reiki, aura/chakra clearings, or working with a medical intuitive, the healer can only assist in restoring balance to our life force energy. We must be willing to release our stagnant life force energy in order to experience its affects on physical, emotional, or spiritual levels. It is this release of this energy that allows the healing process to begin. Tagged aura, aura healing, balance, chakra, chakra balancing, chakras, disease, emotional trauma, healing, life-force energy, medical intuition, medical intuition evaluation, reiki, spiritual energy healing, stagnant energy, stagnant life force energy, subtle energy.